Baden Powell, in his book on evolution (1855), quoted from The Plant to support his transformist views. Ironically, when Charles Darwin was working with Heinrich Georg Bronn to arrange for a German translation of On the Origin of Species in 1860, he wrote “I am not much acquainted with German Authors as I read German very slowly. Therefore I do not know whether any Germans have advocated similar views with mine; if they have would you do me the favour to insert a footnote to the Preface?” Bronn did not supplement Darwin’s historical preface. 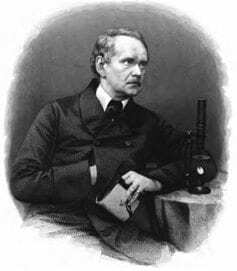 Thus, even though Schleiden’s evolutionary views were published in English, he never was cited by Darwin as an early evolutionist. Frontispiece of the German edition of Schleiden’s book die Pflanze und ihr Leben, published in 1848. 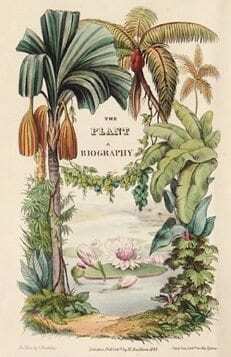 A well-developed discussion of plant evolution can be found in the thirteenth lecture, on the history of the plant world (link to 1855 German edition). 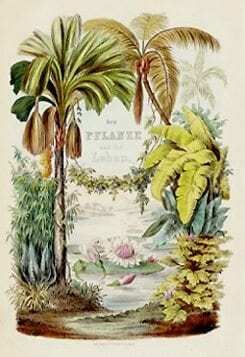 Frontispiece of the English edition of Schleiden’s book The Plant; A Biography, published in 1848. A well-developed discussion of plant evolution can be found in the eleventh lecture, on the history of the vegetable world (link to 1855 English edition).